A beautifully presented five bedroom family home in a popular and convenient location within easy reach of the City centre, mainline Station and good schools.38 Townsend Drive is a beautifully presented semi-detached family home situated a popular and convenient location popular with those seeking easy access to the station, City centre and well regarded local schools. Arranged over three floors the house has been superbly extended and now offers spacious and well planned accommodation that includes three reception rooms, a very well appointed kitchen/dining room, five very well proportioned bedrooms and three stylishly presented bath/shower rooms. 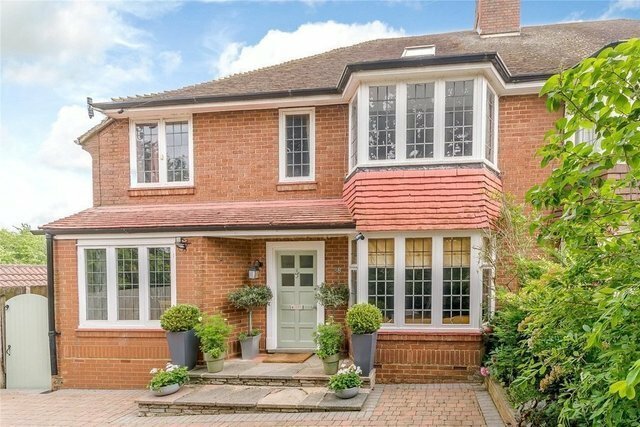 Throughout, this lovely family home is stylishly presented combining every home comfort with many charming character features including, bay windows, stripped floor boards and feature fireplaces. Large windows and French doors flood the house with plenty of natural light and offer views over and easy access to the gardens. Outside, there is a garden to the front, well screened from the road it also provides private parking to a block paved drive, while at the rear is a sizeable garden laid mainly to lawn, with a large paved terrace and timber summer house.